You can also design your own Oculus Avatar on December 6th. The term "asynchronous spacewarp" might sound like a meaningless jumble of techno-jargon, but it's a big deal if you're into virtual reality. It's the new technology from Oculus, which is officially launching today, that'll let you run the Rift VR headset on much lower-specced hardware than before. Typically, you'd need a beefy rig to run games at 90 frames per second, which is necessary for ensuring a smooth VR experience. Using frame interpolation techniques, aysnchronous spacewarp is able to deliver similarly smooth gameplay when you're running at just 45 frames per second. So what does this mean for you? If you've got an aging gaming rig, there's a chance that you can actually run the Oculus Rift today. While the company previously required an NVIDIA GTX 970 or AMD Radeon 290 GPU at the minimum, now you can run any NVIDIA 900 or 1000 series GPU (including the GTX 960), or any AMD RX 400 series card. Still, Oculus is making it clear the feature isn't a complete replacement for a decent rig; it's positioning it as more of a stopgap for gamers who have yet to upgrade. Once you've got a more powerful system, you'll probably never end up seeing asynchronous spacewarp in action. 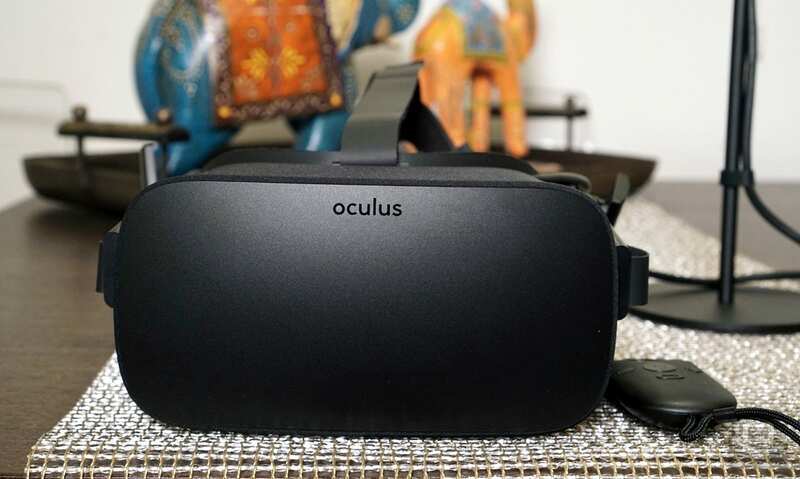 Developers will also have to ensure their games continue to run at a smooth 90FPS on Oculus's recommended computer specs. In other news, the company also revealed that you'll be able to create Oculus Avatars starting on December 6th to coincide with the launch of its new Touch controllers. You won't need that new gear to design an avatar, but lucky Touch owners will be able to use their new virtual selves in Sports Bar VR and Kingspray. Developers will be able to integrate the avatars into their games on December 6th, as well. Oculus is also launching a new retro experience, First Contact, that will give you a few ways to learn about the Touch controllers.